Move aside, N26—there's a new unicorn in town. Europe has bagged its second billion-dollar business of the year, as Paris-based healthtech startup Doctolib crossed the threshold with its latest funding round. The company announced on Wednesday that it has raised €150 million (about $171 million) in one of the largest VC rounds by a French business, going back to the beginning of the data on the PitchBook Platform. The round was led by General Atlantic, with participation from existing investors Eurazeo, Bpifrance, Kernel and Accel, as well as several German healthcare entrepreneurs. Doctolib, which was founded in 2013, provides an online medical appointment management service connecting patients and healthcare professionals, who pay a monthly subscription fee to access its software. The startup recently launched a remote video consultation service and allows patients to receive digital prescriptions in their account and to be billed online automatically. 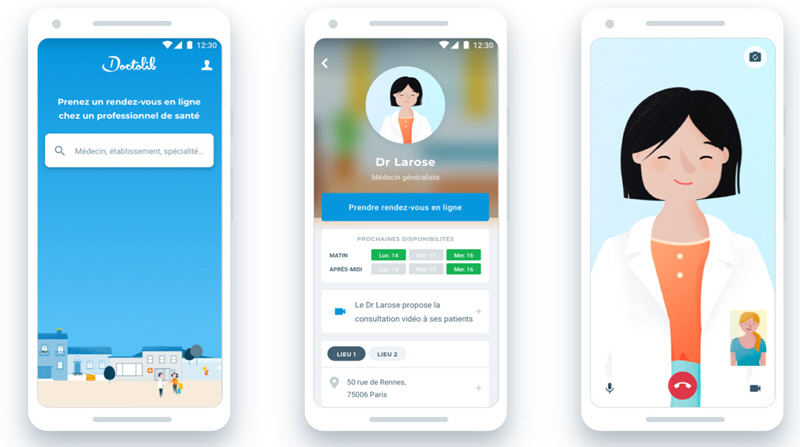 There are currently 75,000 physicians and 1,400 healthcare facilities using Doctolib, which has 750 staff members across 40 cities in France and Germany. With such a large injection of cash, the sky is seemingly the limit in what the business can do—and it has big plans. First off, the funds will see Doctolib's team double over the next three years in its two current domestic markets. However, internationalization isn't far off either, as the company seeks to also expand into new geographies in the coming years. And, as if doubling its team weren't already enough, the business is also planning on doing the same with its R&D investments. Europe has seen a steady increase in venture capital funding for healthcare businesses in the past as last year attained new heights with a total of €4.3 billion invested across 572 deals, according to PitchBook data. Although representing a small proportion of overall investments, companies providing healthcare technology systems have had some large deals come their way. In 2017, UK digital consultation app Babylon raised $60 million to build out its AI capabilities and is now reportedly looking to secure a further $400 million. Sweden's Kry scored $66 million from investors including Index Ventures last year for its European expansion. While Doctolib's latest effort has dwarfed its European peers, the company's previous rounds have been in a similar vein; in 2017 the company received €35 million, suggesting that the continent's e-health startups are becoming evermore alluring to VCs.